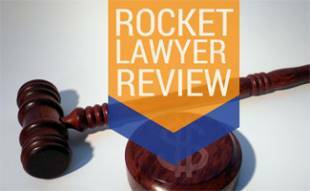 Best Online Legal Services: Rocket Lawyer vs LegalZoom & More! Home > Business > Legal > Best Online Legal Services: Rocket Lawyer vs LegalZoom vs BizFilings vs MyCorporation & More! As an entrepreneur, one of the first financial hurdles you hit is the cost of hiring a lawyer to set up your legal entity. This shouldn’t prevent you from being an entrepreneur! You can avoid paying hundreds of dollars per hour and having to deal with with lawyers’ busy schedules by simply using an online legal service. Difference Between Using Online Legal Services And A Local Attorney? Legal advice online can save you a lot of time and money if your legal needs are basic and pretty straightforward. Obviously, if you’re wary of having someone you’ve never met handle your legal needs, it’s not the thing for you. But keep in mind that you typically only meet with a local lawyer once and handle everything else by phone and online. What Can I Expect From An Online Legal Service? Most online legal services take you step by step through the process of your legal matters with lawyer services online. For example, let’s say you’re forming a Limited Liability Company (LLC). The online legal advice you choose will ask you to provide the necessary information to complete the proper documents and then you will pay their fee. This fee may be a flat rate for having the documents filed or a monthly fee for their service in addition to any state filing fees. With some online legal services you may have direct access to an attorney if you’re doing something more complicated. This is where your wallet may be very thankful you chose to use an online legal service instead of going directly through a lawyer because lawyers fees can get expensive. You’ll want to know about six of the most common types of legal entities for businesses before diving into this article. It’s important to know which one will best fit your needs, so you can choose the best online legal service. This is a standard corporation and has limited liability protection, which means owners are not personally liable for the debts or liabilities of the C Corp (in most circumstances). C Corps pay taxes at the corporate level. Note: double taxation is a possibility if corporate income is distributed to business owners as dividends (considered personal income). Tax on corporate income is first computed at the corporate level, then again at the individual level. Both an LP (Limited Partnership) and LLP (Limited Liability Partnership) have two types of partners: general and limited. A general partner manages the daily operations of the limited partnership and is personally responsible for the liabilities of the LP. General partners can be individuals or legal entities. A limited partner contributes to the business by providing investment capital. Limited partners have no say in the operation of the LP and have no voting power. They also have no personal liability aside from their financial investments. However, limited partners can be held personally liable for a liability of the business if they are found to be involved in the management of the business. Limited partners receive dividends and general partners have to pay self-employment tax. The key difference between an LP and an LLP is that LLPs have limited liability for all partners whereas in an LP general partners are the only partners with personal liability. LLPs are best for businesses with investors who wish to take part in the daily operations of the business. A Non-Profit, or 501(c)(3), is designed to meet certain specific tax-exempt purposes. A Nonprofit must be designed to benefit one of three things: the public, a specific group of individuals or the membership of the nonprofit. Examples include: charities, churches, political organizations and credit unions. An LLC (Limited Liability Company) and an S Corp (S Corporation) are very similar. Both have limited liability protection and are typically pass-through tax entities. Pass-through taxation is where no income taxes are paid at the business level. Any profit or loss the business has is passed through to the owners’ personal tax return. S Corps must file a business tax return while only LLCs that have more than one owner file business tax returns. What Are Some Of The Differences Between An S Corp And LLC? LLCs can have an unlimited number of members while S Corps are limited to 100 shareholders. S Corp owners must be U.S. citizens/residents while LLC members don’t have to be. LLCs can be owned by C Corps, other S Corps, LLCs, partnerships or multiple trusts; this is not the same for S Corps. LLCs can have subsidiaries without restriction. S Corps have more formalities. These formalities are also recommended for LLCs, but are not required. In most states forming and maintaining an LLC is more expensive than an S Corp (higher annual filing fees for example). Below are our picks for best value, ongoing services and attorney access. Find out why we chose them as the top winners. 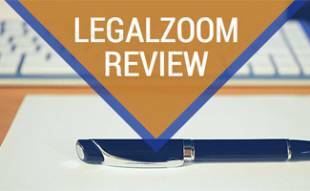 LegalZoom offers help with personal and business legal documents online. They will help you with as much as you need, which is why this service is great for those of you who are largely unfamiliar with the legal process. LegalZoom’s interface is simple and easy to follow, which makes finding the information you need effortless. A tool that stands out for LegalZoom is the “How did most people answer this question?” button. This button allows you to see the most popular answers, to give you an idea of how you’d like to answer the question. Below is the pricing information for LegalZoom. The prices in the table may vary depending on your state. Check out what Legal Zoom has to offer in this video. Rocket Lawyer helps you create legal documents, connect with an online lawyer service to answer your questions and incorporate your business. 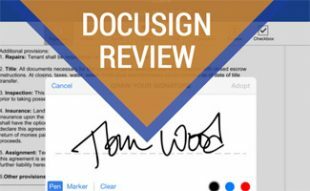 Rocket Lawyer’s interface lets you print off state-specific legal forms for your business or personal life. You receive step-by-step instructions from RocketLawyer so that you can make sure all your paperwork is complete. You can also create personal documents like an online will and divorce papers in addition to business services. LegalShield is great for people or small businesses who need to physically speak to a lawyer or may need ongoing representation. LegalShield has a network of “Provider Law Firms” around the country for your legal needs. They offer personal legal plans, family plans, identity theft protection tools and small business plans. Below are the prices for LegalShield’s services on average; however, they may vary by state. Some of the services below are difficult to find information on and are not as clear on what services they offer. If you have experience with any of these services, please share your story with us so we can update this article and help future consumers make more educated decisions. To learn more about a service, click one of the links below or simply scroll down the page to learn about them all. BizFilings focuses on helping businesses find the right legal structure for them. They’ll help entrepreneurs choose the legal entity and keep the business running, from a legal perspective. While filling out forms, a box is displayed on the side of the page that tallies up your cost total as you add-on legal documents so you know exactly how much you’ll be spending. They also offer a few payment options including PayPal in addition to credit card. On the downside, as their name suggests, they focus only on serving businesses so there are no personal documents and they don’t even offer trademark filings for companies. Pricing can vary by state (and do not include state fees) but here are the average prices that we found for Biz Filings, click here to view all plans. Prices do not include state fees. Like BizFilings, CorpNet focuses on businesses, so you won’t find any personal legal services offered here. Their documents take very little time to fill out since you complete a “form fill” page first that then fills in the necessary details on the documents you choose. They also include an updated summary of pricing as you add-on various features so you know exactly the total cost expected to pay. Pricing can vary by state (and do not include state fees or the $29 shipping charge). Here are average prices we found for CorpNet; click here to view all plans. Prices do not include state fees or $29 shipping charge. FindLegalForms is probably best for someone who knows a little bit about legal speak. It’s cheaper than some of the others, but buyer beware! If you’re a novice, you may become overwhelmed with the complex terms and the do-it-yourself nature of the legal forms on this website. The documents are state-specific and you are in charge of downloading and filing them yourself. The customer service reputation is where Find Legal Forms seems to fall down the most. Pricing starts at $4.99 per form, click here to view all forms. FormSwift offers a variety of online legal forms but doesn’t help you if you are working to start a business. If you’re looking for a company that can help you set up your new business and file any forms throughout your venture, you’ll want to look elsewhere. But if your company is already operating, this may be a good option for you. Prices below do not include filing fees. LawDepot offers a range of estate, family, financial, real estate and business legal services online. We read many reviews of LawDepot customers thinking they were signing up for a free trial or service and in turn being charged. LawDepot could be a little more transparent about what’s covered under their free trial so that customers have a better understanding of what to expect. MyCorporation focuses on businesses, whether you’re starting out, need help with day-to-day operations or if you want to trademark or copyright a company asset. The company’s Learning Center is full of articles to help get your business where you want it to be. My Corporation offers live chat and phone support to help with your business needs. Below are the starting prices for MyCorporation (does not include state and publication fees). Depending on what documents you need to file and what certificates you need, the price may increase. The company offers the option to rush file for an additional $100, click here to view all plans. U.S. Legal Forms offers legal help for both personal and business matters. If you know exactly what you are doing, this is a good solution for you since you can go directly to the forms and get started. USLegalForms.com also includes many obscure legal documents, like a formal letter to remove someone from your church, which could be very useful to some people. US Legal Forms provides personal and business form subscriptions that give you unlimited access to thousands of forms. Below is their pricing (does not include filing fees) to prepare forms for you to set up your legal entity. Prices do not include filing fees. 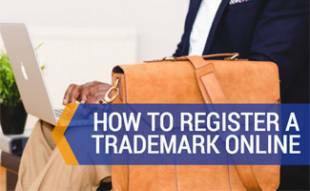 We offer a host of other in-depth guides for starting and maintaining your business on topics such as how to create an LLC online, how to register a trademark, or how to register for a DBA. If you’ve used online legal services, what went well and what went wrong? Disclaimer: Information published in this article is intended for reference use only. This article is not intended to offer any legal opinion or advice, or apply any legal principle of any kind. Please consult a licensed in attorney in your state of residence for any opinion or advice on any legal matter or issue. Rocket Lawyer has gone to great lengths to make it simple for users to cancel. There’s a detailed how-to in the help center as well as a customer service phone number on every page. Can you check this out and consider revising your review: “Easy cancellation” to the Pros – Vs a Con. We greatly appreciate your feedback and review. Hi Mindy, we will look into this. Thank you. Yes, I saw that your info on LegalShield is incorrect. Most of the services people need are going to be free with the service, and the 25% discount only applies for major issues that are not free. I’ve had it for about five years and got a free Will, representation on two speeding tickets, help with a bad car accident, lots of questions. Never received a bill from my attorneys yet. I pay $17 a month, but I think their rate went up to $19.95. Hi Jane, thanks for the comment. What specifically is incorrect about LegalShield in our review? I looked at pricing and it is still accurate. Thanks! The information for LegalShield is incorrect. You may want to reach out to them as to the changes that have been made. Thanks Donny! We’ll be sure to take a look at it!